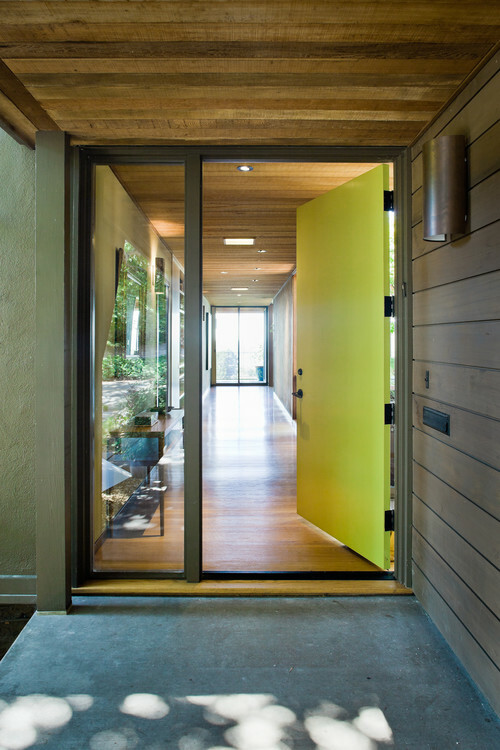 Your front door can – literally – open you to a world of possibilities in a single statement. Does yours say what it should? 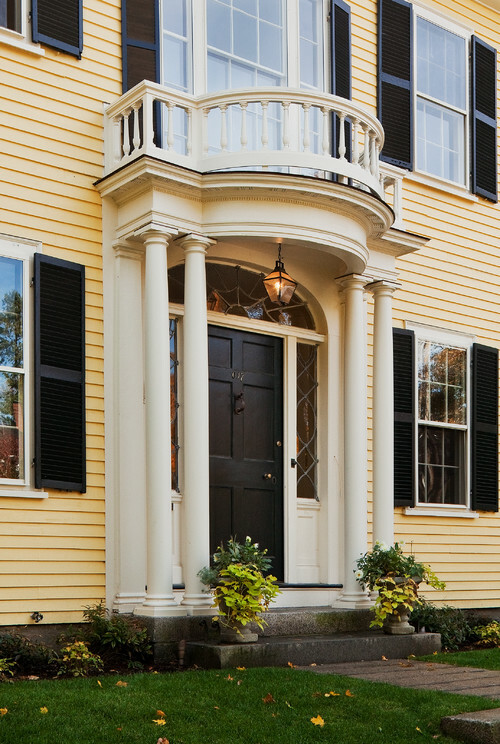 Just because you love a beautiful front door doesn’t mean you’ll let just anyone in. While not for everyone, Dutch doors are great for pet owners, folks in favorable climates and people who love a little something different. And, chances are, they don’t use the front door either. If your home has multiple exposed entrances, you may find you don’t use your front door all that much and it may have been a while since you’ve had a moment to give your front door a little TLC. 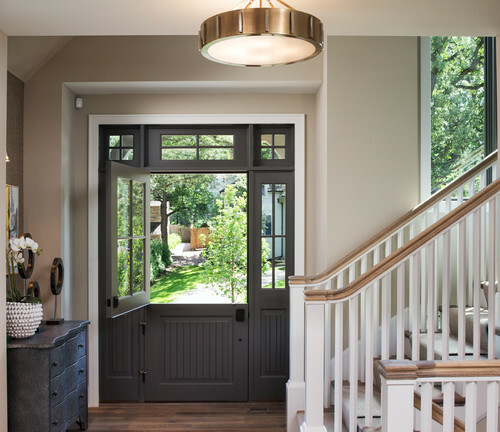 That’s okay – every home is a work in progress and there are plenty of easy ways to spruce up the formal entrance. Want to show the world it’s time to shake things up a bit? Paint your front door chartreuse and see what happens. We love the irreverent, yet undeniably happy, color of this mid-century modern front door – and the uninterrupted lines around it. Bonus: The pizza guy will have no trouble finding your house. Double front doors are another functional masterpiece that can also say a lot of beautiful things about your home. As convenient for furniture moving as they are for parties that spill out into the front yard, having two front doors means you can have twice the fun – and twice the opportunity to play up on your style. There’s something a little magical about homes that beckon with warm colors softened by plants, and every neighborhood has one home that invites a smile with every pass. Is that home yours? If your front door doesn’t have a lot to say, there are plenty of ways to add to its vocabulary. 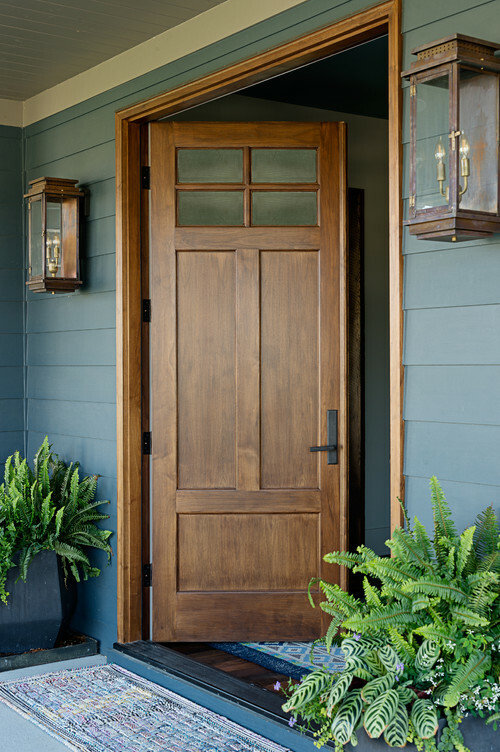 Fresh paint, clean windows and a new welcome mat are a solid start – as are these fun and easy front door ideas. 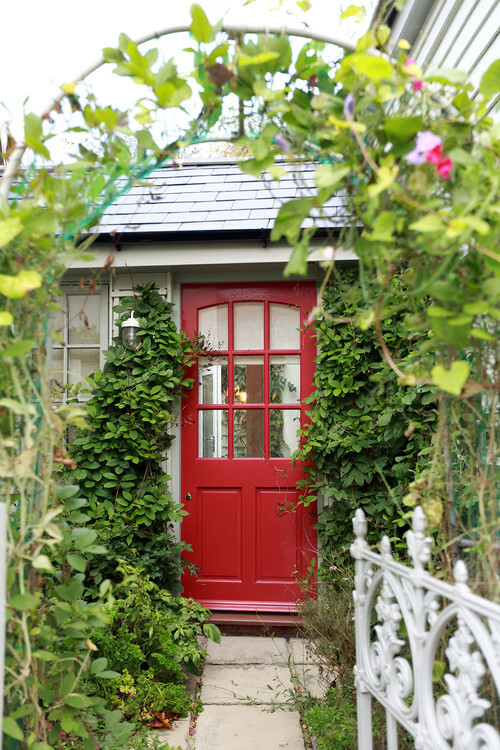 Is your front door the least of your worries when it comes to making a good impression? The Maids can help bring your house up to your standards. Give us a call for your free estimate!